As Canadian ski hills go, Red Mountain is not usually high on your “off the top of the head” lists. There’s Tremblant, Blue, Whistler Blackcomb, and Banff, with a smattering of Revelstoke and Kicking Horse, for example, thrown in for your hipster skiers. You know the ones. Man, there’s sooo many tourists here. I’ve been coming here for years, and it was way better before it got all corporate. 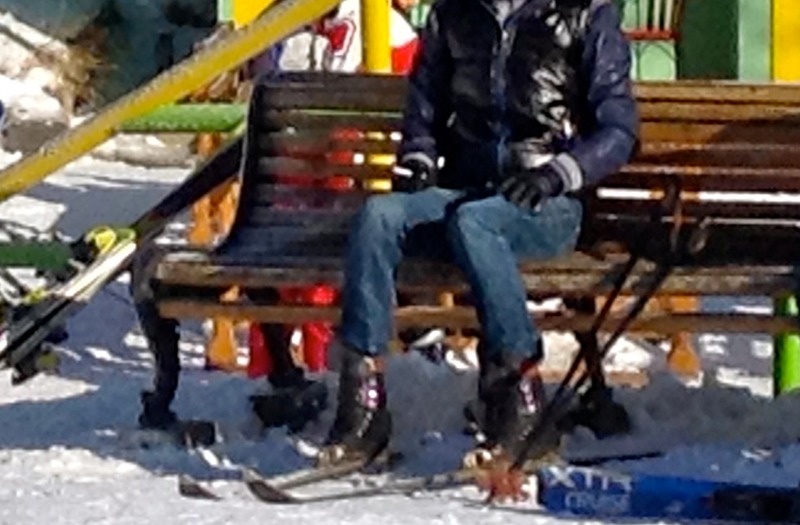 Those are leather ski boots, and this person exists. The point being, there are dozens of lesser known resort towns all over North America, and every so often a couple of them break into the big leagues. In the last few years, Red has been knocking at the door of the big boys club. Situated just outside of Rossland, BC, Red Mountain is a quick drive from Castlegar airport, or a not-so-quick drive from Spokane, WA. Until recently, it was one of those places you’d only hear about in the evenings, where your buddy just got back from the best ski trip of his life. Spoken in hushed tones, lest the local snow gods punish him, and with a look of nostalgic wonder, he’d try to tell you of this jewel in the interior of BC that defies mere words in its beauty and terrain. But lately, Red has been getting a little more traction online, for a couple of reasons. Despite its history as a ski hill spanning over 100 years, it seems Red has evolved into the early 20s ski bum that we all once were, and translated it into an easily accessible online presence. Happiness can come from the strangest places. You sometimes have to go find them. After all, you never found the Comics section on the Front Page of the newspaper growing up.